For some automakers, certified is nothing more than a label. At BMW, it’s a promise. A promise that the vehicle you purchase will be of the utmost quality. A promise that BMW will be with you on the road ahead. A promise that the certified pre-owned vehicle you purchase in nothing less than a BMW vehicle. 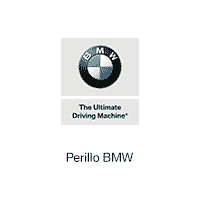 Each Certified Pre-owned vehicle comes with BMW’s Certified Pre-Owned warranty. This warranty kicks in after the original 4-year/50,000 mile expires. While not as extensive as the original warranty, the certified pre-owned warranty is one of the most comprehensive in the industry. As you can see, the warranty pretty much covers all the bases of whatever mechanical problems your BMW could face. Before the vehicles are even offered as BMW certified pre-owned vehicles, they must undergo a thorough inspection by the team at BMW. They are checked out top to bottom, inside and out, to ensure they are of the highest quality before they are available to drivers. BMW wants to make sure its customers are getting the best vehicles around anywhere, so everything they do reflects a degree of excellence. From the wide range of coverage the program’s warranty provides, to the incredible amount of testing its vehicles are subjected to, the BMW Certified Pre-Owned program is one of the most in-depth in the industry. But that’s just the way BMW does everything.